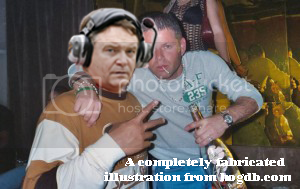 You will find articles today from The Clarion Ledger and others who’ve discovered that Houston Nutt talked to Nevin Shapiro regarding the Miami job in 2006. 12/7/2006 10:17 a.m. -Houston Nutt calls Nevin Shapiro, a Miami Hurricanes booster. Maybe not their concern and for that matter, not likely ours either, Houston Nutt told Arkansas that he was not interested in the Miami position on November 27, 2006, about 10 days before his conversation with Shapiro. So what was the connection? Larry Coker, the head coach of Miami was on his way out, and Houston Nutt was hot at the time as a coach. But is that all that there is to it? It never is. There always has to be a connection somewhere. Sexton’s Athletic Resource Management in Memphis represents four top coaches in the Southeastern Conference — Auburn’s Tommy Tuberville, South Carolina’s Steve Spurrier, Tennessee’s Phillip Fulmer and Arkansas’ Houston Nutt — as well as Larry Coker of Miami (Fla.), Frank Beamer of Virginia Tech, Nick Saban of the Miami Dolphins and the Dallas Cowboys’ Bill Parcells. Filling in those details for you, we wondered when the first time that Nevin Shapiro was publicly associated with the University of Miami. We haven’t seen it discovered elsewhere so a little ol’ fan site in Arkansas brings it to you first, but Shapiro’s zealousness for Hurricane Football is evident in 1992 when Miami beats Florida State on a last second field goal. Nevin Shapiro just couldn’t take it any more. He looked like a caged animal about to be cornered. He looked like a man in dire need of sleep. And then came the powerful antidote: a 33-yard touchdown pass from University of Miami quarterback Gino Torretta to Lamar Thomas with 6:50 left in Saturday’s football game. Shapiro leaped into the arms of his neighbor, and nearly hugged the life out of him. He pumped his fists, raised them triumphantly and savored the moment. And as the seconds ticked, it only got better. Alan Amdur, who watched the game nearby, slumped in relief. UM’s Hecht Athletic Center is named for Amdur’s grandparents, Florence and Isadore Hecht. His father, Neal, is the president of the Hurricane Club. He was feeling quite queasy for most of the game. “This day,” Amdur said softly, “has been a roller coaster of pain.” That pretty much described the feelings on both sides of one of the most intense rivalries in college football, a rivalry that filled the Orange Bowl Saturday with 77,338 spectators — most of them in a frenzied state. An angry FSU fan briefly editorialized as he swept past Greenberg. “He’s a loser, just like Miami,” the man snarled. “He’s a winner, just like the Canes,” she snapped. It was enough to make Tony Halaska, a lieutenant with the Broward Sherriff’s Office, feel proud of the great big bald spot on top of his head. Halaska took off his rich green Canes cap to reveal the letters U and M painted between strands of hair. “It’s great to get away from the everyday garbage,” he said. A message to Bobby Bowden: Doesn’t that kick look familiar? Proof positive. Bobby Bowden can’t win the big game. Miami is the luckiest team in the history of team sports. Final score: Miami 19, FSU, ACC and Bobby Bowden 16: The curse lasts. I cannot believe they missed those two clipping calls on the opening kickoff. I can’t believe they called a penalty on the kicker for tripping. It is unreal. The ACC referees are up to their old tricks. If Miami has a signed contract with FSU, I don’t understand how the road team can bring their referees into the game. It’s hard enough playing 11 against 11, but we’re playing 11 against 17. Why aren’t the referees calling the clips? They’re missing all the clips. The first FSU touchdown the referees missed a clip. The referees should be suspended.